*And, by the way, these are a few personal favorites I wanted to share (i.e. none of these businesses are paying me to display their products!). 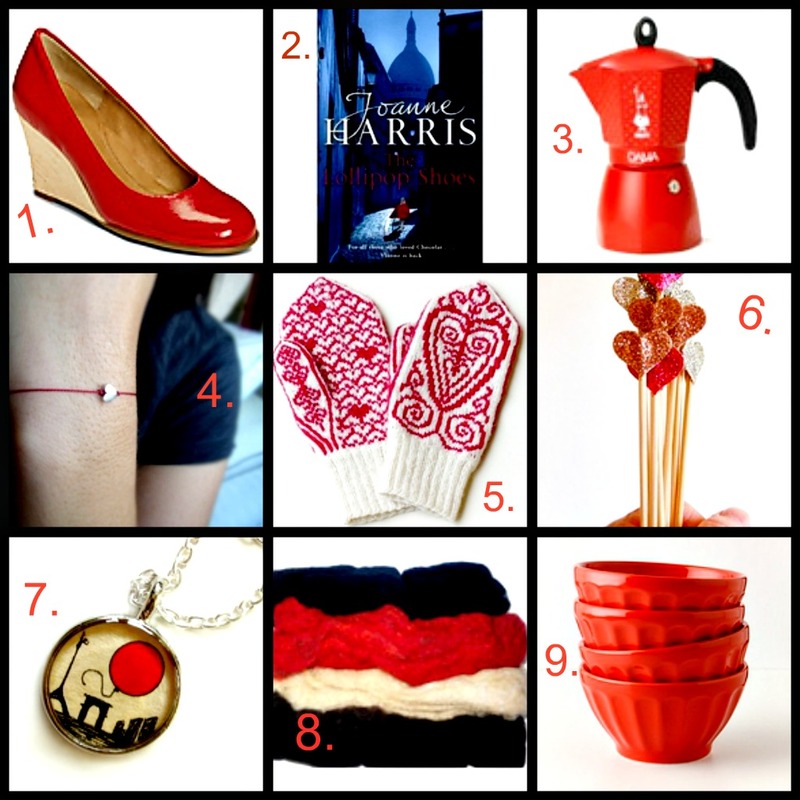 Categorized: gift ideas., holiday: valentine's day. I loved that book too! Rather dark, but mysterious. You should do a book list. I'd love to see what other books you've enjoyed! You finally did a gift suggestion list! I'm a Loving Rice reader and my favorite posts were always your favorite things right now lists. I'm happy that you're doing something similar here. Cheers, Shelby! I hope someone gets you the Bialetti! The Red Balloon pendant is a perfect gift for my frenchie friends. Merci! OOOH... I want those shoes! So looking forward to reading Joanne Harris's new book. My favourite author.